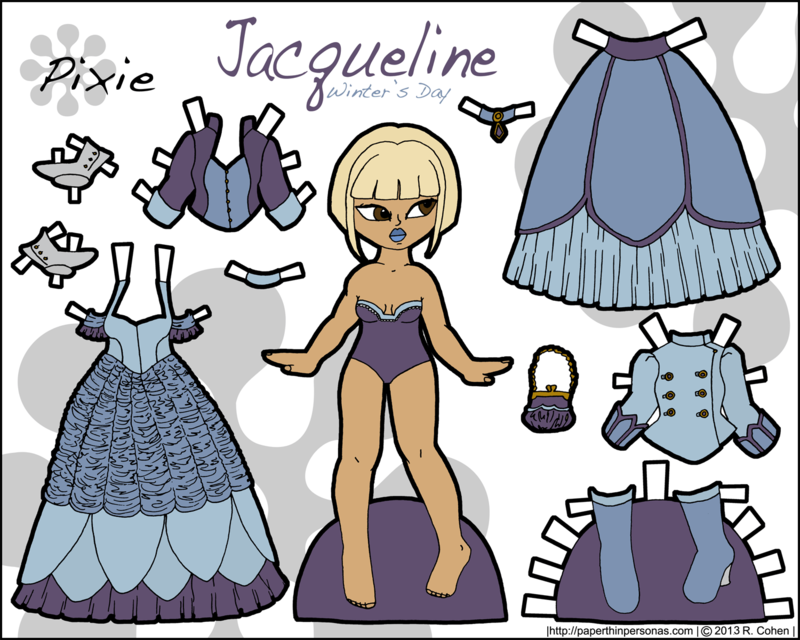 Clearly, I got bored last weekend and decided that what I needed to do was color a paper doll set in three different color schemes, because I couldn’t make up my mind. Actually, there was a fourth color scheme, but it looked bad and didn’t get as far as being posted. I think I might have a problem. 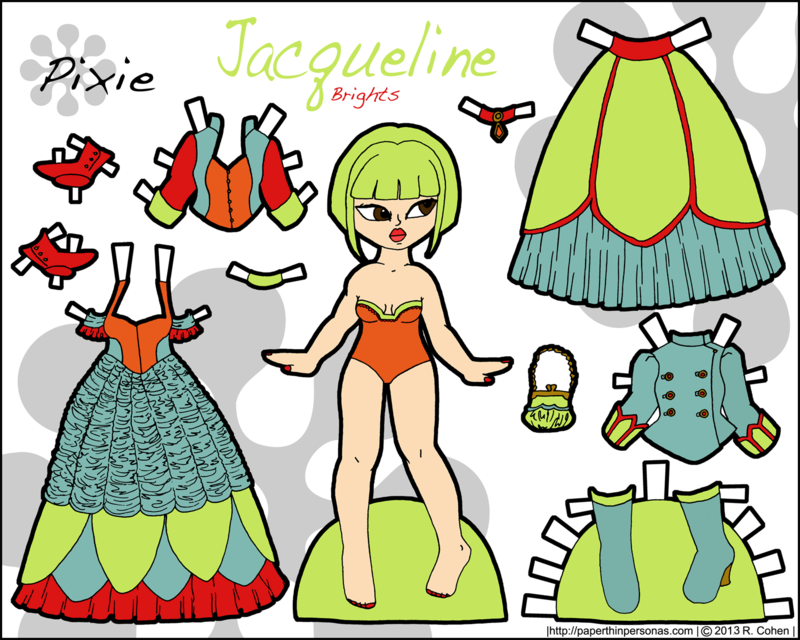 I can’t keep doing this with Pixie paper dolls, because it’s darn time consuming and yet… I wonder what she’s look like in a red and blue color scheme? See… this is why I have a problem. Thank you Rachel. The day had started really badly (here in Europe it’s 9 a.m. now) and I couldn’t sleep for most of the night. 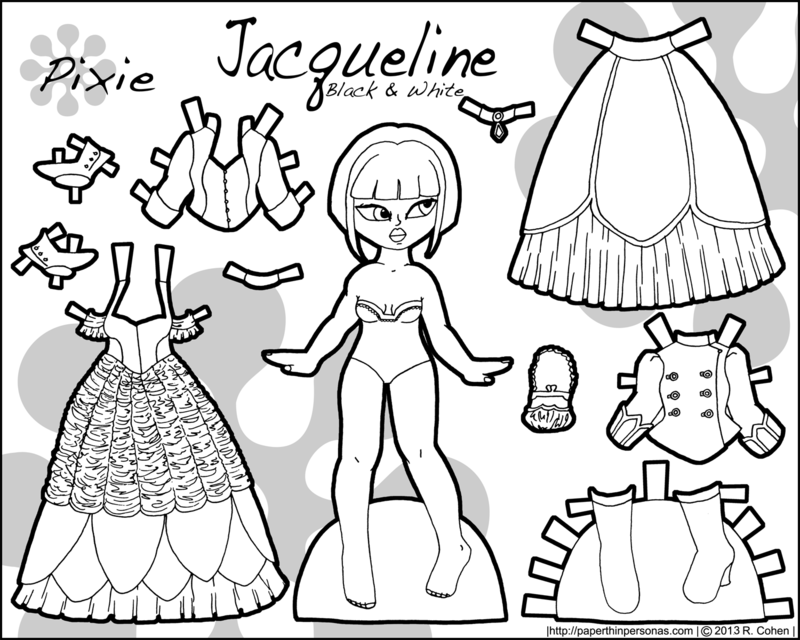 Then I had a look at your blog, and here it is, a Pixie (they are my favorites); in period clothes (love them and I am translating a period romance); in four version plus black and white! 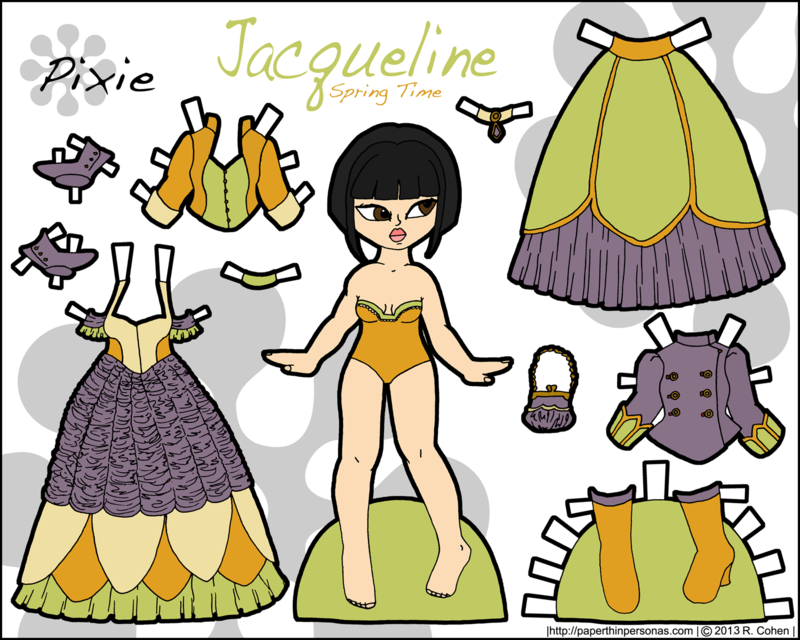 By the way, my favourite is the “spring” version. Not that I feel much ready for spring (certainly not today) but I love the purple and green mix. Thank you, Marie Claire, for your kind words. I should warn you that these clothes are only period in a vague sort of fantasy way, but I’m glad to hear that the Pixies are someone’s favorites. I really like them too and sometimes I think it’s sad that Marisol seems to get all the love. I hope your day gets better. I love the Pixies! I can’t vote for my favorite Jacqueline because you don’t have the option for “All of them because each one is beautiful, and red & blue would probably be just as awesome!”. How come you never have a poll option for liking all of them? I don’t like having to choose just one! You forgot a red head! Just kidding. That look lovely. And i was finding myself in he same situation wondering what sets would look like in different colors…i may have to give in. I know. I have a thing for redheads… I should have done one here.